A careless encounter with an endangered aquatic species got an Indonesian man in trouble with the law after footage of the incident went public. A group of scuba divers in Indonesia recorded a video of themselves riding an endangered whale shark, with one of the men lying on the fish’s back while the other two held on to the creature’s sides. According to The Daily Mail, the incident occurred in Cenderawasih Bay earlier this month. Following public outrage caused by the video, Indonesian authorities identified the people involved and arrested the "shark rider" who turned out to be a local businessman. "It has been handled, and the perpetrator has been arrested," Susi Pudjiastuti, Indonesia’s minister of maritime affairs and fisheries, said. 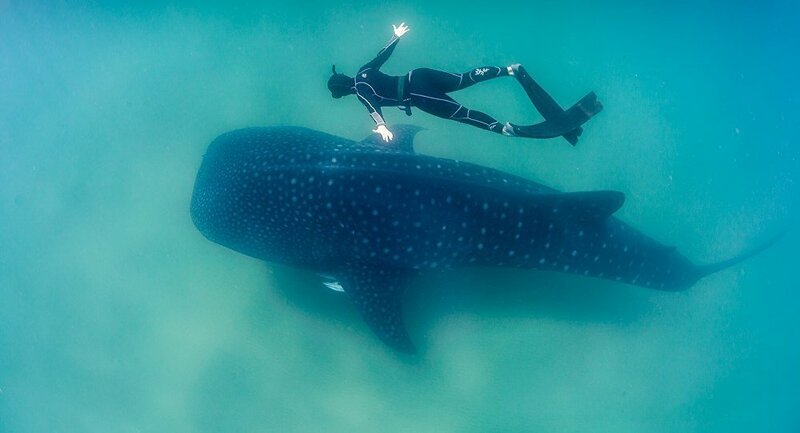 Under the country’s laws, divers are prohibited from touching whale sharks and are ordered to keep a distance of at least three feet from the creatures during a possible encounter in order to avoid hurting them. Despite their massive size, whale sharks are docile and do not pose a serious danger to humans, and sometimes allow divers to catch a ride or even play with them.